When it comes to adulting, I have most of it down: I pay my bills, I meet my deadlines, and I can navigate insurance and health care. I even own some stock. But when it comes to the kitchen, I fail. Sure, I can follow a recipe, but meal planning – choosing recipes, buying ingredients, actually cooking and using them before they go bad – isn’t really something I’ve figured out how to do consistently. I think I’ve grocery shopped three or four times in 2017 so far. I’m always impressed by people who are good at – and enjoy – cooking, and especially people who can look in the fridge and make a meal from what they have. Those handful of times I went shopping and didn’t meal plan? Half of the food went bad because I would open the fridge, look in, go “I have nothing to eat,” and close the fridge. Whether you love to cook or hate it, sometimes you need to just throw together some dinner with what you have on hand, or risk wasting food. If you’re like me and not great with improving in the kitchen, Yumami can help you find recipes quickly and easily. Using their simple search bar, you can search recipe by keyword or by ingredients, and get personalized recommendations. You can choose to include – or not – how much time you have. With other half a million recipes at your fingertips, there are plenty of options for every meal. Just looking for ideas? 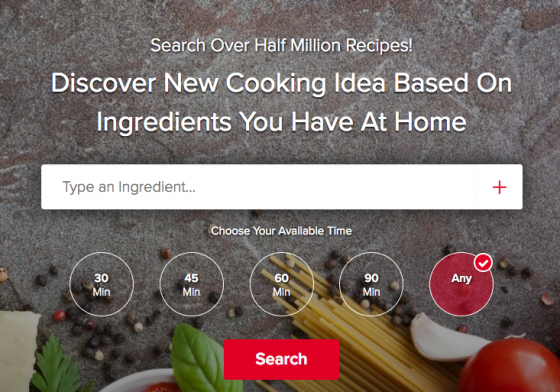 You can also browse through two categories of recipes: popular, and quick & easy. They have everything from Ginger Peach Green Tea Smoothies to Herbed Garlic Bread to Citrus Lamb Roast With Buttery Carrots. Yumami also allows you to save your favorite recipes into your personal cookbook and share with friends. Signing in is easy, with the ability to just connect your account to either your Facebook or Google. The user interface is easy and beautiful, and all of the meals look delicious and appetizing. Best of all? Yumami is entirely free. So if you’re having a bit of trouble with the kitchen and food part of adulting, check it out for some fresh ideas based on what you have on hand. I know I’ll be trying it out!